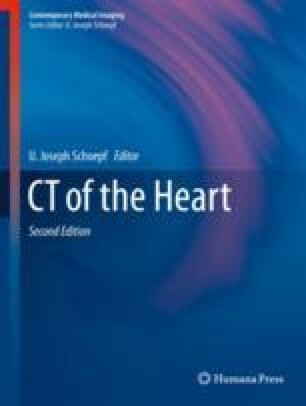 The quest to identify vulnerable patients and perhaps even individual atherosclerotic coronary plaques that will cause future acute coronary events remains to be one of the greatest challenges of modern cardiovascular medicine (Braunwald E, J Am Coll Cardiol 47:C101–3, 2006; Heidenreich et al., Circulation 123:933–44, 2011; Waxman et al., Circulation 114:2390–411, 2006). Current guidelines on diagnostic strategies of patients with stable coronary artery disease (CAD) focus on the detection of significant coronary artery stenosis or myocardial ischemia (Libby P, The New England journal of medicine 368:2004-2013, 2013). Needless to say that such a strategy will not identify the patients who die suddenly due to acute coronary events without prior clinical manifestations of CAD (Mozaffarian et al., Circulation 133:e38–360, 2016). It has been demonstrated by postmortem investigations that majority of acute coronary syndromes are caused by plaque rupture and subsequent sudden luminal thrombosis (Burke et al., N Engl J Med 336:1276–82, 1997; Falk et al., Eur Heart J 34:719–28, 2013; Virmani et al., Arterioscler Thromb Vasc Biol 20:1262–75, 2000). Rupture-prone atherosclerotic lesions have been termed as vulnerable plaques, which have distinct characteristics from stable lesions. The differences in morphology and functional and metabolic characteristics provide a unique opportunity for non-invasive cardiac imaging to identify these lesions before they cause acute events. Moreover, it has been demonstrated that on a patient level, the total quantity of plaques (i.e., plaque burden) has a strong predictive value for myocardial infarction. Han D, Starikov A, Ó Hartaigh B, Gransar H, Kolli KK, Lee JH, Rizvi A, Baskaran L, Schulman-Marcus J, Lin FY, Min JK. Relationship between endothelial wall shear stress and high-risk atherosclerotic plaque characteristics for identification of coronary lesions that cause ischemia: a direct comparison with fractional flow reserve. J Am Heart Assoc. 2016;5(12) https://doi.org/10.1161/JAHA.116.004186.